A fierce and faithful proponent of the effective use of technology in schools, Dr. Darren E. Draper is a CoSN Certified Education Technology Leader who currently serves as the Director of Innovative Learning in the Alpine School District. As the largest school district in the state of Utah, Alpine District educates nearly 80,000 students. Darren is a regular presenter at ed-tech and academic conferences nationwide, and has over twenty years of experience in the field. 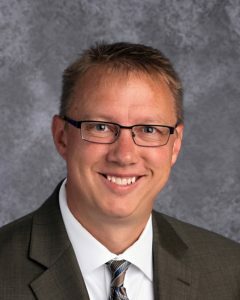 Most recently, his professional interests include open education, technology-enabled professional learning in its many forms, the academic application of social networking, and teacher efficacy. He’s been blogging at http://drapestak.es and chatting on Twitter for over a decade (@ddraper), and would love to connect to learn more with you!